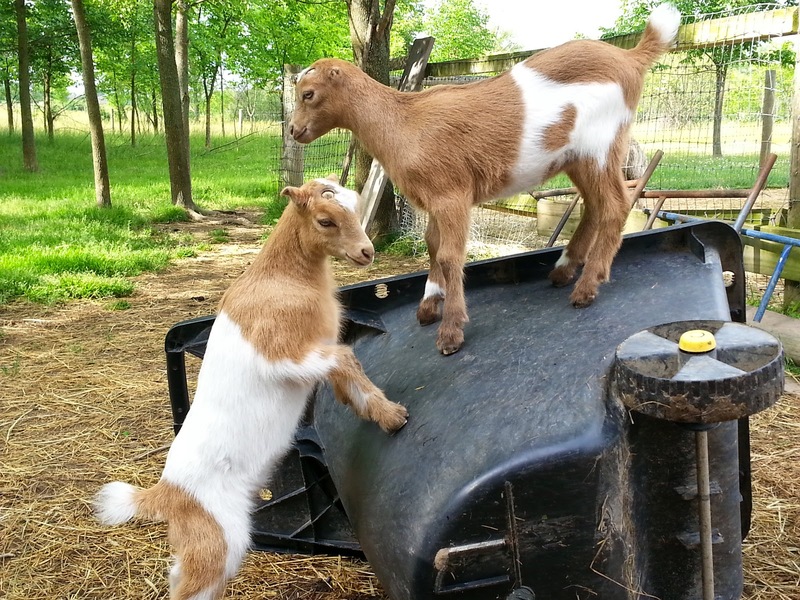 Harvest Thyme Homestead: Mini-Mancha Goats for Sale!!!! 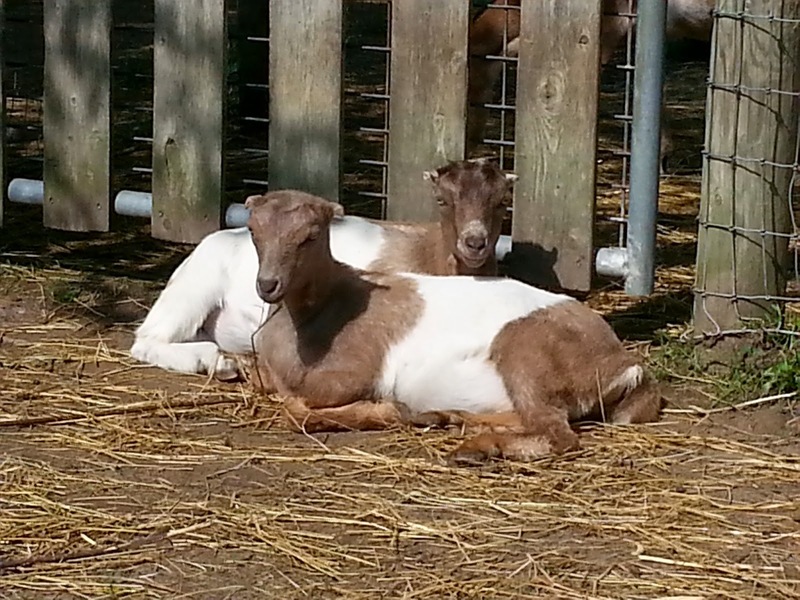 Mini- manchas are a cross between a Nigerian Dwarf goat and a Lamancha goat. Many say that Nigerian part increases the butter content in the milk and the LaMancha adds the volume. I personally love the cross! 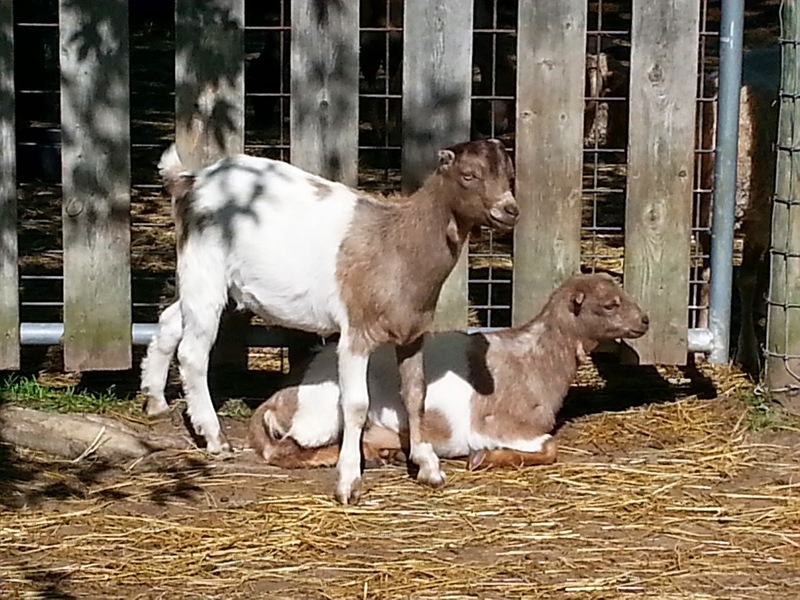 The personalities of the 2 create a wonderful goat! These month & half old twin does pictured above are out of a mini Mancha doe. They are delightful.....full of energy.....and friendly! Check out that little heart on the side of the one girl! The doe with the little heart has LaMancha ears and the other doe has more Nigerian ears. These girls are available for sale at $100 for each. A discount will be given if they are purchased together! These mini manchas are almost 5 months old. The one standing is a buck and the one sitting is a doe. Their mom is a purebred Nigerian Dwarf. The doe has beautiful markings and has a lot of Nigerian features. The buck is super flashy and would make a great pasture mate. The doe is being offered at $100 & the buck $55. He has not been wethered. 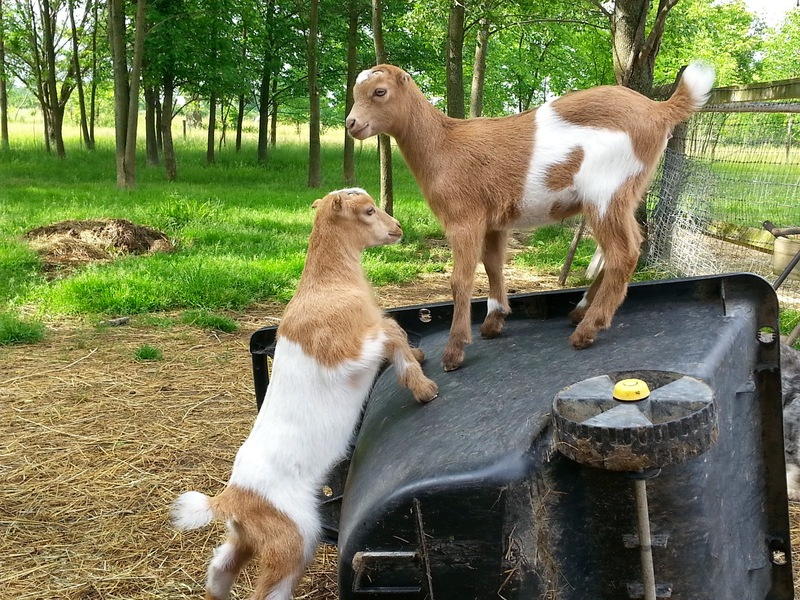 Please leave a comment or email me if your interested in any of these beautiful goats! I have a Mini-Mancha female and am looking for a Mini-Mancha buck. Do yours come from good dairy stock? Where are you located?